The Sosia Mask was created for production of Amphitryon produced by NYU Gallatin School of Individualized Study. 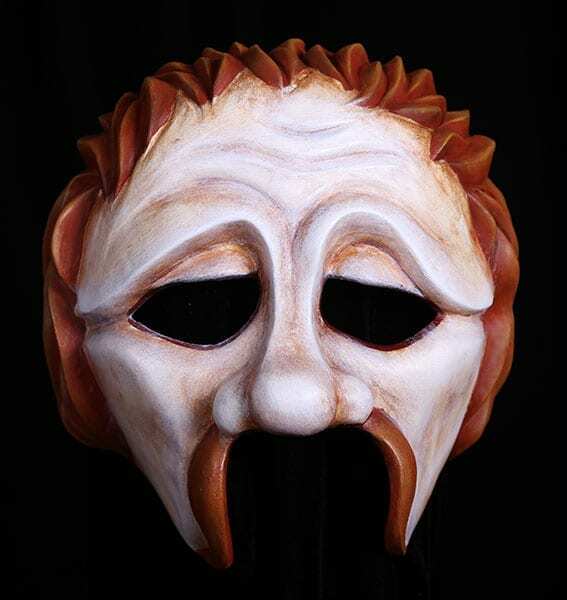 The Sosia half mask has been added to the Greek theater mask collection as comic old man. It is a mask that runs from itself and finds blame in others for all its shortcomings. Poor Sosia.